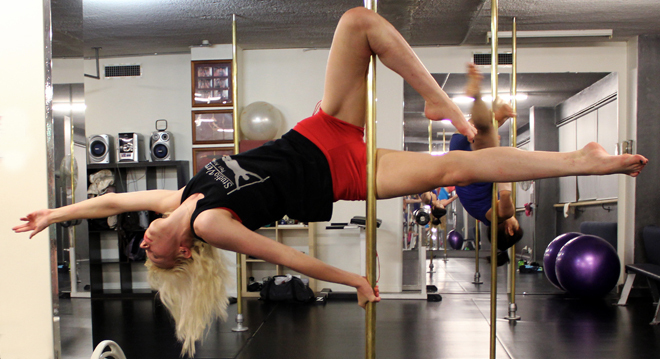 I've been pole-ing with Studio Verve for about a year and a half now. Originally I signed up for something different to do with my spare time, but it's become such a deeply entrenched part of my life, there's no way I'd give it up now! From my very first class I fell in love. The atmosphere of the studio is a welcoming one; everyone is made to feel like they belong there regardless of age or ability. The teachers are all incredibly passionate about dance and fitness, and they are so knowledgeable on such a broad range of topics. The girls (and guys!) I've met whilst pole-ing have become really good friends of mine as well, and those friendships are invaluable to me. 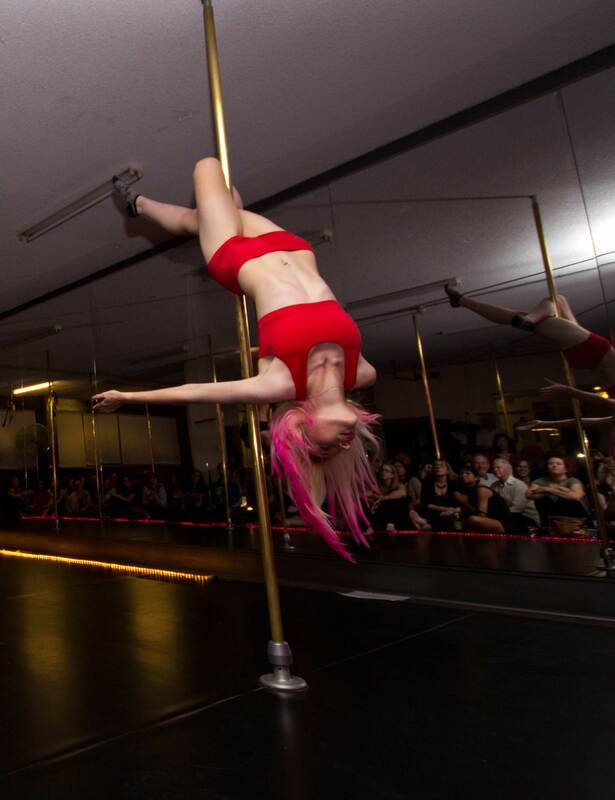 I know now that going to pole lessons will almost always fix a bad day or week, and the camaraderie felt in the studio is unlike any other sport. Everyone is here to support each other, without any unnecessary competition. I cannot believe that my body is capable of some of the moves we do in class, and that I've built up the strength that I have in the past year and a half. I never thought I'd be able to achieve a handstand, or support my entire body weight in my armpit, but with the patience and support of Twee and Jen I've been able to get there. Whilst for some, pole dancing is seen as a new fad workout to help with weight loss, for me it was the complete opposite. I suffered with really poor self-esteem and depression as a teenager, which ended up culminating in a pretty serious eating disorder. Once I got the all-clear from my doctor to participate in lessons, and attended my first class, I wondered why I hadn't done it earlier. I absolutely loved it, and for me to continue participating meant that I had to stay healthy and really look after myself to ensure a relapse did not happen. As the months went by, I ended up coming to love the new shape my body had taken on; strong really is the new skinny. For me, to be able to have something in my life that makes me feel strong, and love my body for everything that it can do (rather than what it can't) is inestimable, and is something you just cannot put a price on. Pole Fitness is more than a sport or workout for me, it's a lifestyle and I cannot recommend it enough to everyone I talk to.